Join Phil Borgnes, of Sidewalk Cinema, and Hannah Palin, Film Archives Specialist at the University of Washington Libraries Special Collections, for the eleventh annual Home Movie Day, on Saturday, October 19, 10:00am-1:00pm at the Northwest Film Forum in Seattle. The event is free and open to the public. Home Movie Day is a celebration of amateur films and filmmaking held annually at numerous local venues worldwide, providing the opportunity for individuals and families to discover how best to care for their films and get a rare chance to view examples of home movies. Home Movie Day, Seattle, will feature information about preserving home movies, a display of film equipment, magazines and ephemera, screenings of home movies from the University of Washington Libraries Special Collections and from Philip Borgnes’ orphan film collection. Visitors to Home Movie Day are invited to bring in a several reels from their family collections for preservation information and advice. Depending on the condition of the films, attendees will have the chance to view their own reels of 8mm, Super 8mm and 16mm on viewers or projectors provided by Palin and Borgnes. For more information about the Seattle Home Movie Day event, please contact Hannah Palin, filmarc@u.washington.edu, 206.321.8301, or visit the Seattle Home Movie Day Blog: http://seattlehmd.blogspot.com/ for the latest information and links to film preservation information. 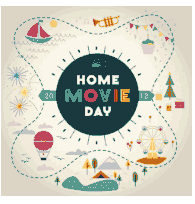 For more information about National Home Movie Day go to http://www.homemovieday.com/index.html. Northwest Film Forum is located at 1515 12th Ave, Seattle, WA 98103. For directions and information go to: http://nwfilmforum.org/.